When you make the decision to buy a pre-owned vehicle there are additional considerations that must be made at the same time. Make, model, year, mileage, condition, car dealer in Seattle, financing and insurance are all very important questions that must be answered during the car buying process and can be a little overwhelming if you are not prepared. Locating a reliable dealership that you can trust can go a long way in ensuring you not only get a dependable vehicle, but a contract that is affordable with no hidden fees. Vehicle size is one factor that must be determined. A small car and its passengers do not typically fare well in a collision. Storage space is limited and there is less room for passengers. However, fuel economy is generally fantastic and navigation is a breeze. SUVs, used Jeeps for sale or larger vehicles often do better in a crash but the likelihood of a rollover is higher. More passengers and more cargo are permitted but gas mileage is often much lower than a small car. Navigation can sometimes be challenging. Be willing to explore all possible options when searching the area for a pre-owned SUV, mini-van, car or truck and stop by Carson Cars to look over our extensive inventory. We are proud to have sales staff who can answer your used car questions and for the variety of financing choices we have to offer all credit situations. 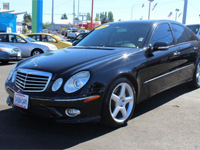 Call the dealership today at (855)583-9356 and see how a premium car dealer in Seattle can treat you.